The Omron 3 Series® wrist blood pressure monitor is lightweight, portable, convenient and simple allowing users the benefit of being able to check their blood pressure on the go. Plus, the exclusive Advanced Averaging technology displays the average of the last 3 readings taken within 10 minutes. 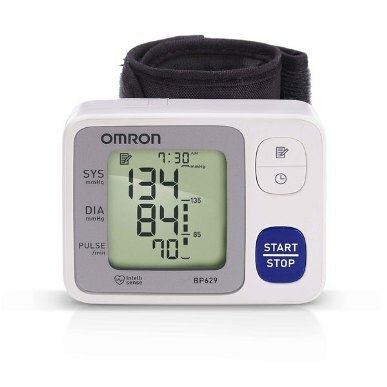 The Omron 3 Series Wrist Blood Pressure Monitor has a 60 readings capacity memory storage with date and time stamp and Hypertension Indicator Icon alerts if your reading ever exceeds internationally recognized guidelines for normal blood pressure measurements. The Omron 3 Series Wrist monitor is a discrete and convenient way to measure your hearts health on the go. When you trust your heart health to Omron, youll be empowered by accuracy.